We bring you the latest news on composite decking technology to keep you up to date on the latest trends and innovations in this industry. Composite decking is the mixture of recycled wood and plastic which gives you a high performance and weather resistant product. Composite decking has evolved over the years and is now a much more reliable product than the ones supplied many years ago. The latest technology in composite decking is called capped composite decking which includes a protective covering which completely protects the decking boards from the elements. The ideal decking should have the look and feel of traditional wood, combined with the strength of the composite materials. There are many different qualities of composite decking with some manufacturers cutting corners, such as not sealing the bottom or edges of decking boards. Before you purchase any decking you should get samples of the decking so you can inspect them for quality. 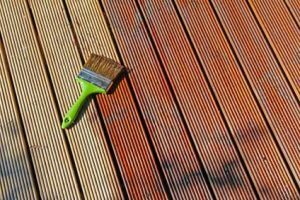 Traditional wooden decking can be ok if it is well maintained, but still has problems in wet conditions when they can be very slippery. When compared with wooden decks, composite decking has a much longer life span as it is made of compressed plastic and wood and other recycled martial’s which combine to give it a much longer life. With traditional wooden decking to have to seal the product with either varnish, paint or other specialist strains. Composite decking on the other hand just requires a clean down with water and does not fade or splinter. Unlike traditional decking composite decking is slip resistant which is a big help when used in wet conditions. You cannot say composite decking is non slip, but is is much better than wooden decking. For information on the UK’s largest supplier of composite decking, see TimberTech composite decking.